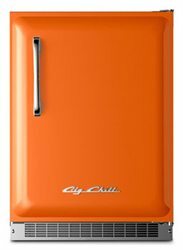 New retro style Nostalgic Refrigerators or old crusty Vintage refrigerators for your garage, dorm room, ManCave, or Den, you’ll find the best of them here. Complement that throwback decor of the 50’s and 60’s. A retro refrigerator can be the polishing touch to your garage design. Check them all out and let us know which one is your favorite by commenting below. Whether old or new, you can find that Vintage Style Refrigerator here!